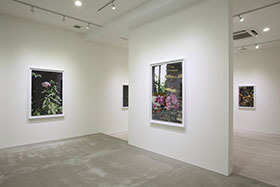 This exhibition shows 20 pictures related to flowers and plants taken since 2007. Many of them were photographed as she participated in the artist residency program in Switzerland. 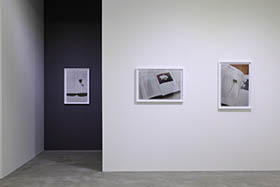 Her works lead a viewer to the impression that she took a portrait of persons, not flowers because of her unique stance on how to measure off distance to objects as well as her own view point towards the objects. She has since focused on flowers and plants and taken photos of them in the Royal Botanic Gardens, Kew. Although the name plates in her works simply describe the common and scientific names of plants, it seems to us these signs imply her artless question of the name which makes us recognize ourselves or the conceptualism in art since the 20th century. 2010 The 26th Kodansha Essay Award - "Senaka no Kioku"